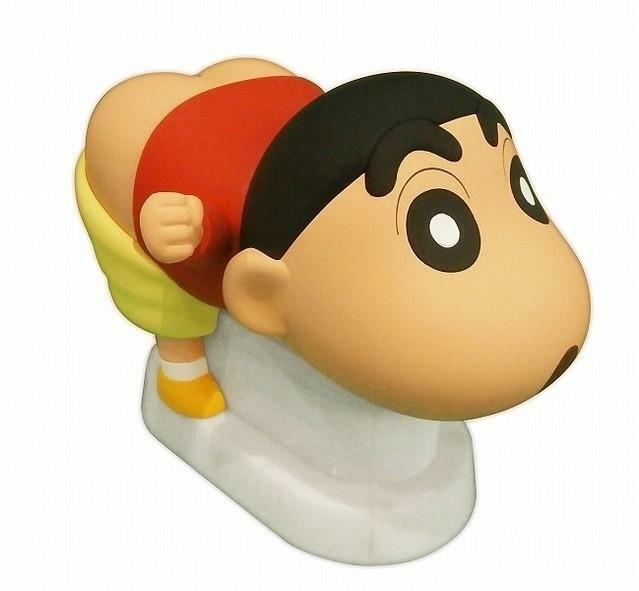 The irascible Shinnosuke Nohara of Crayon Shin-Chan manga and animation fame is sculpted in the prone-position for an upcoming humidifier from Shine. In typical Shinnosuke fashion, his knickers are drawn down and a blast of flatulence blows outwards for the humidifier's steam emission. 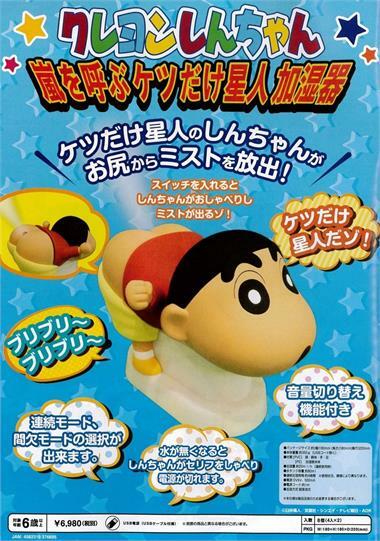 In addition to the humidification function, Shinnosuke's voice may be heard uttering trite commentary along with sound effects. Preorders are welcome to ship in mid-late December 2019. Summer's still lingering but cool winds will blow soon and turn the air chilly. When winter rolls around, be prepared with a Dragon Quest Slime USB Warmer (Humidifier) which blows small jets of steam into the air to warm and humidify the local vicinity. When the King of Monsters isn't out destroying cities or humbling fellow giants, Godzilla serves as a humidifier to add moisture to the air.